ILSI Mesoamerica through its Nutrition and Food Technology Committee had the pleasure of sponsoring two groups of students of the Food Engineering career of the University of Costa Rica (academic partner) who participated representing Costa Rica in the contest ” Food Science Students Fighting Hunger “that took place within the World Congress of Food Science and Technology last August in Dublin, Ireland. 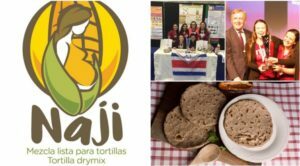 The objective of the projects called Naji and Choco Crocos was to create innovative products that help fight malnutrition in the area they represented, in this case Central America. It was the first time that Costa Rica participated in an event of this level. 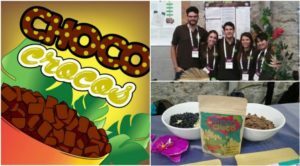 Both teams received recognition in the competition, for example Naji won the prize for the most marketable idea and the first general place of the competition and Choco Crocos a special mention as Best Display. 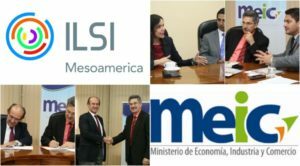 ILSI Mesoamerica signs a cooperation agreement with the Ministry of Economy, Industry and Commerce of Costa Rica for the Strengthening of the National Codex Committee of Costa Rica. This month’s bulletin has the full information of this new alliance, which will be very important for the country. ILSI branches in Latin America hold their first meeting in Bogotá, Colombia. The objective of the meeting was to generate more opportunities for cooperation and collaboration in the region, optimize human and financial resources and update the strategic planning of ILSI in the region. 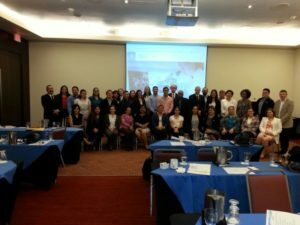 On October 25, the Symposium – Food Labeling and Public Health Workshop, promoted by the Nutrition and Food Technology Committee, took place in Panama City. It was attended by representatives of the Government of Guatemala, the Dominican Republic and Panama; as well as academics and industrialists. 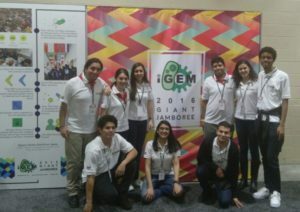 ILSI Mesoamerica, through its Risk Analysis, Biotechnology and Pharmacovigilance Committee, had the pleasure of sponsoring a group of students from the Technological Institute of Costa Rica (TEC) who participated representing Costa Rica in the “International Genetically Engineered Machine (IGEM)” competition. 2016 “organized by the Massachusetts Institute of Technology last October in Boston, United States. 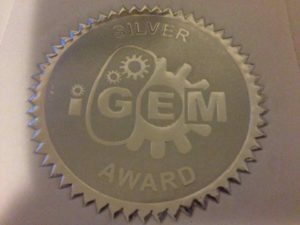 The TEC team won the silver medal with its Prostal project, which is a diagnostic system for the detection of prostate cancer. It is important to mention that the boys were the only representatives of Costa Rica and Central America.